In most cases, development of Web-based systems has been ad hoc, lacking systematic approach, and quality control and assurance procedures. Hence, there is now legitimate and growing concern about the manner in which Web-based systems are developed and their quality and integrity. Web Engineering, an emerging new discipline, advocates a process and a systematic approach to development of high quality Web-based systems. It promotes the establishment and use of sound scientific, engineering and management principles, and disciplined and systematic approaches to development, deployment and maintenance of Web-based systems. 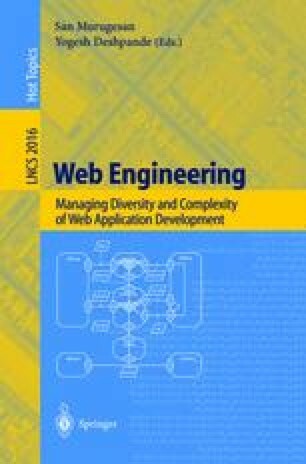 This paper gives an introductory overview on Web Engineering. It presents the principles and roles of Web Engineering, assesses the similarities and differences between development of traditional software and Web-based systems, and identifies key Web engineering activities. It also highlights the prospects of Web engineering and the areas that need further study.